My mind goes back 15 years to Dec 31, 1999, Y2K year, when everyone was saying computers would go haywire and the world would end at the stroke of of midnight. The missus and I lived in a big three-bedroom house at Rotary Park, West Goroka, and had no kids then. An apocalyptic, surreal, silence shrouded Goroka that day as everyone stayed indoors and said their last prayers. The hellfire and brimstone mob had been working overtime in the markets, shops, and sidewalks of our town. Such was the end-of-the-world feeling you would have actually thought that the Four Horsemen of the Apocalyse were riding into town that day. I told Hula, my missus, that if the world ended, we might as well go out it in style riding on chariots of fire, so we went to the Bird of Paradise and drank, hugged, and kissed each other as if the world would end (I'm not recommending that you drink today or am I promoting alcohol). Even the bar at the Bird was so quiet, (on a New Year's Eve) you could have heard a pin drop, and we thought we were in some mad scene in Mad Max: Beyond Thunderdome. That night, some of our guys from Butibam village in Lae, Egi Luther Daure, and his elder brother, David, drove down the highway from Mt Hagen in a 10-seater. To cut a long story short, the world didn't end at midnight (contrary to what the prophets of doom and righteous brothers were preaching and singing on the streets), and on New Year's Day 2000, with the Highlands Highway being scot-free of vehicles (as Papua New Guineans, being Papua New Guineans, thought the world would end with a religious fervour), music blaring to silence any sad dirges, and eskies full of beer (our driver didn't drink), we hit Lae in a record three hours (thank to the Y2K paranoia and mass hysteria). That's my little tumbuna story about our younger and wilder days (I'll write a book about it if I can find the time in 2015). Is Papua New Guinea descending into kleptocracy? Note the use of "kleptocracy" to describe PNG in this article in the Sydney Morning Herald on Monday: "The recent collapse in oil prices, however, may mean that Australia will not have the luxury of ignoring the plight of Papua New Guinea, in particular, for much longer. "Like Australia, PNG has spent the revenue of the resources boom as if it would go on forever. "At the same time, the former Australian protectorate has been busily eroding its political and legal institutions to the point where kleptocratic behaviour has come to threaten the viability of the state itself. "Unlike Iraq, Ukraine or China, there is no country other than Australia that the world will expect to intervene." According to Wikepedia: " Kleptocracy, alternatively cleptocracy or kleptarchy, (from Greek: κλέπτης - kleptēs, "thief" and κράτος - kratos, "power, rule", hence "rule by thieves") is a form of political and government corruption where the government exists to increase the personal wealth and political power of its officials and the ruling class at the expense of the wider population, often with pretense of honest service. "This type of government is generally considered corrupt, and the mechanism of action is often embezzlement of state funds. "While the term can be used in its literal sense to mean a society based on theft, it is more commonly used derogatorily to point out a corrupt government or ruling class." “The greatest threat to wellbeing and happiness in our country comes from people who try to create baseless fear and anxiety - simply for their own political gain,” Prime Minister Peter O’Neill said today following another repetitive news conference by the Opposition. He raised concern at ongoing attempts to undermine the economy, harm business and destroy jobs by an Opposition with a vested interest in failure. “At a time when the image and reputation of Papua New Guinea is improving around the world, and national pride continues to grow, there are people who will seek to rubbish the national economy for their own political gain,” O’Neill said. “I challenge these few merchants of doom and gloom to take account of their actions and be factual in their words. O’Neill said the recent re-hashing of claims by the Leader of the Opposition in relation to the budget were simply wrong. “The Opposition Leader has nothing new to say and keeps repeating the same baseless claims time-after-time. “His attempts to talk down the economy over the fall in oil prices is an example of irresponsible behaviour that can affect jobs and business if people were to believe him. “While the price of oil has dropped, for the most part this will not overly affect LNG revenues as we have forward contracts in place that are set at a fixed formula. “These are 20-year contracts predominantly with customers in China and Japan. “All commodity prices fluctuate depending on supply and demand. “Currently there is an increase in supply of oil in the market as OPEC countries are not cutting back on production. “As such there is an increase in supply against demand and consequently prices have dropped. “When we prepare an annual budget this is prepared based on a long-term average of commodity prices as the basis for the assumptions in the budget forecast. “Therefore we believe strongly that prices will readjust as common sense in the market prevails and production is set to meet global demand. “This really is something that a former Chairman of the IMF and World Bank Board, even though only in the job for just a few months, would have understood if they had focused on the briefings provided to him. “Mr Polye is either confused or is deliberately misleading the market in relation to forward contacts for Papua New Guinea’s LNG sales. “When the LNG project came online ahead of schedule this year, only the additional gas was sold at spot prices as this could not be factored into earlier contracts. “These additional gas sales are a bonus in revenue for the nation. “Next year only LNG that is surplus to fixed contracts will be sold at spot prices. “This is smart business for any energy producing nation. “Despite claims by Mr Polye, forward contracts will be honoured by LNG customers as they are large and reputable international companies with long-term outlooks. “These companies lock in long-term forward contracts in order to protect themselves from future price increases - in doing so they carry the risk that energy prices will drop. O’Neill called on the media to be careful and check the facts so as to not be hoodwinked into publishing baseless nonsense. 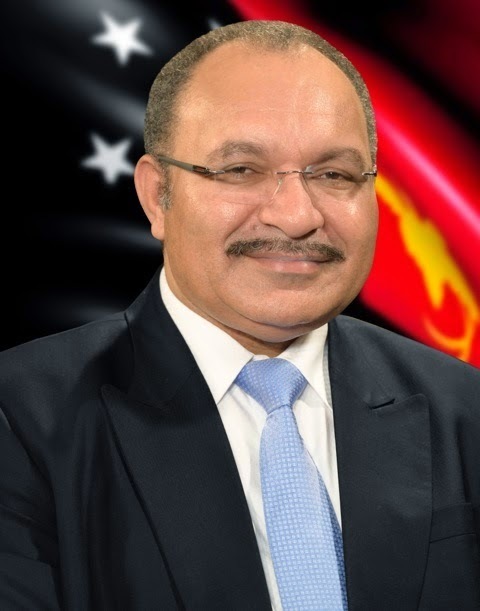 Prime Minister Peter O’Neill (pictured) has commended citizens and law enforcement agencies around Papua New Guinea for a relatively safe Christmas period, and called on people to welcome the New Year with the same caution. “We have seen people celebrating the festive season with respect for each other,” O’Neill said. “In almost every country around the world there are law and order issues over the festive season, particularly where alcohol is involved. O'Neill said while some of the reported incidents were serious, "this is not of the scale that might have occurred in previous years". He commended police and community leaders in working together to ensure a safer Christmas. “A managed police presence through our cities has been effective in dealing with people who have consumed too much alcohol, or who might have had questionable intent," O'Neill said. O'Neill has conveyed his best wishes for people around PNG to enjoy New Years’ Eve celebrations and start 2015 on a positive and safe note. “To all people in Papua New Guinea, I wish you a happy New Year. Prime Minister Peter O’Neill has written to offer his congratulations to the Prime Minister of Japan, Shinzo Abe, following his re-election this month. At Japan’s general election on December 14 this year, Abe’s political coalition, made up of his own Liberal Democratic Party and the Komeito political party, received a two-thirds majority in the Lower House of Japan’s Parliament, called the Diet. Abe was subsequently re-elected by the Diet and has now announced his Cabinet. In his letter, O’Neill congratulated Abe on the large proportion of the vote received by the ruling Coalition, and highlighted the ongoing strengthening of ties between Japan and Papua New Guinea. "Our Government has every confidence that the objectives set by Prime Minister Abe for his next term of Government will be accomplished,” he said later. “Papua New Guinea’s trading relationship with Japan continues to expand, and in June this year we had the honor of Japan receiving our first LNG shipment. “We anticipate that we will see our trade and investment relationship continue to grow in the coming years. O’Neill said Japan’s commitment to continuing to build ties with Pacific Island nations had also been enhanced under Abe’s leadership. “Prime Minister Abe has indicated a strong desire for Japan to be active in the Pacific to increase trade and enhance development. “This was demonstrated during the visit by Prime Minister Abe and his delegation to Papua New Guinea in July this year. “Japan is delivering a 20 billion Yen (K428 million Kina) development package over a three year period in Papua New Guinea. “This covers a number of initiates in areas such as education, health, infrastructure, law and order, rural development and fisheries. Prime Minister O’Neill said he looked forward to meeting Abe in 2015. 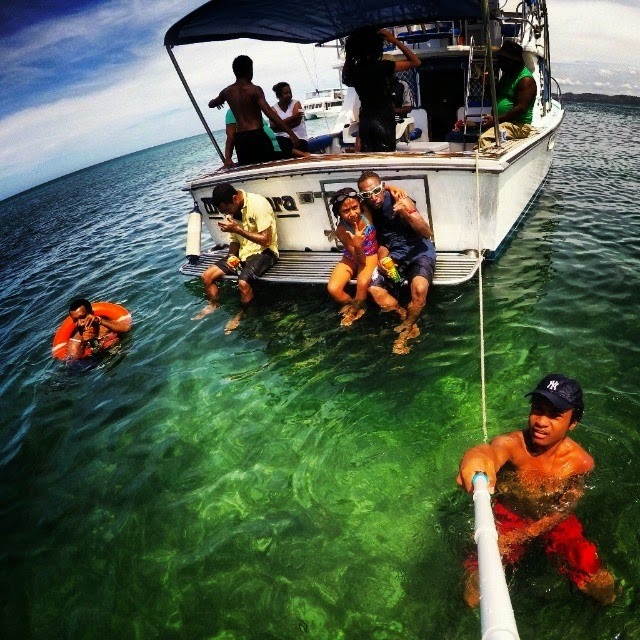 On Sunday, Dec 28, 2014, my elder brother David and his children invited my children and I for a day cruise to Daugo (Fisherman's) Island off Port Moresby. Also joining us were his tambu (sister-in-law) Geno and her kids, as well as our cousin Yapi Delabu, all the way from our home at Butibam village in Lae. We had a wonderful time, leaving the yacht club at about 10am on the BAT vessel Maus Wara, didn’t try out the fishing unfortunately, and then ended up at the island where we swam and enjoyed lunch. The kids had a great time swimming, playing on the sand, and taking pictures with their GoPro camera, which produced some unbelievable shots (I have to get one for the New Year). I took along my still and video cameras as well to capture these moments for posterity as well as post pictures live to Facebook for family and friends to see. Twas great to see the large number of expatriates on Fisherman's Island enjoying the sun, surf, and sand in bikinis, and freely talking and mixing with the locals, even buying and eating cooked fish. A game of beach volleyball. It made me wonder why Papua New Guineans, including leaders, are taking their holidays overseas and in other Pacific countries. Historically, Fisherman’s (Daugo) is an abandoned WW11 strip, which until some years ago was used by trainee pilots from Port Moresby. By 1944, Port Moresby had six airfields. Jackson was the largest, and was named after Australian ace pilot John Jackson, leader of RAAF Squadron 75, who was killed in a dogfight against Japanese planes over Port Moresby on April 28, 1942. After 4pm, after a lot of fun in the sun, surf, and sand, and lots to eat and drink, it was homeward bound. View of Port Moresby from the sea on Sunday afternoon. Note that Paga Hill to the right of this picture, the controversies of which I've written a lot about this year, is shaved bare for a multi-million dollar housing estate. Along the way, we passed Gemo Island, which is one of a number of abandoned gun emplacements, bunkers and fortifications during WW11, and the site of a hospital for leprosy and tuberculosis patients from 1937-1974. It looked so quiet but would tell so much if it could talk. These were constructed by Australian Engineers in 1944, but never used, then abandoned after the war: Basalisk Battery Largest, three gun battery to the west of Moresby; Paga Hill Battery Gun battery and radar set location hill outside Moresby; Gemo Island Battery Gun position on offshore island, overlooking the east; Bootless Bay Battery Gun position at Bootless Bay; Boera Battery Gun position west of Port Moresby. A great was to end 2014 in style. PS: A Happy New Year 2015 to readers of this blog and thank you for all your support in 2014. Three human bodies have been found packed amongst tuna in the freezer of a fishing vessel that ran aground on a remote island of Papua New Guinea. The suspected illegal fishing vessel was found on December 10 at Paona Island, a 45-minute boat ride from Fead Island, which is 200 kilometres north of Bougainville. Due to the remote location, authorities had only begun launching an investigation mission to the area. "Local reports coming from the area are that there are three dead bodies in the ship's fridge with some fish they have caught," said Franklin Lacey, Bougainville disaster coordinator, who is leading the investigation team. Mr Lacey said the deceased were of Asian appearance and may have been crew members. The identities of the bodies or the ship had not yet been established. "The occupants of the boat, when it ran aground, they tried to burn it but it did not get ablaze – it's only the top part of the ship that's been burnt," Mr Lacey said. Mr Lacey said the freezer containing the corpses was still working. "We've been giving a warnings to the locals not to get the fish from the fridge, which they normally do with other ships that run aground," he said. 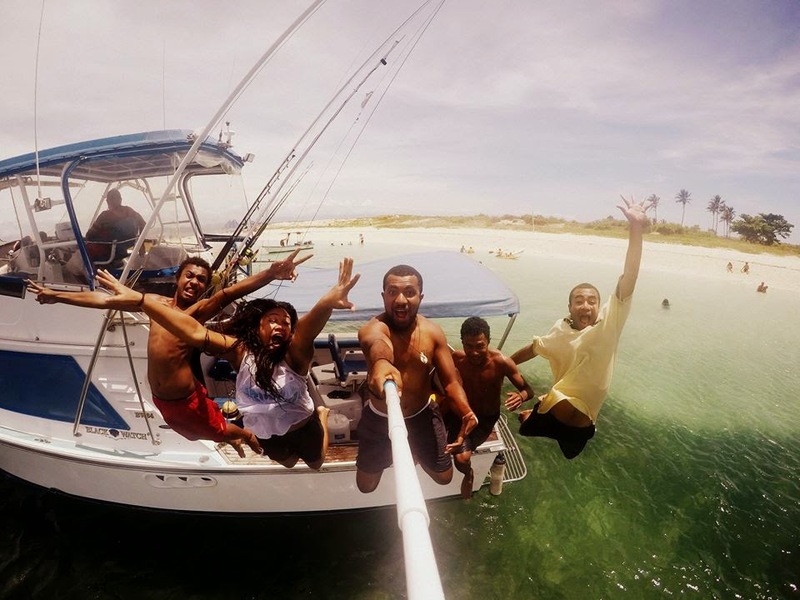 Illegal tuna fishing is common in the area and the crew was believed to have fled to a "mothership", acting as a hub for smaller vessels. An assessment team was expected to leave Bougainville for the remote island on Monday and hand a report to the country's National Maritime Safety Authority, which will lead the recovery of the bodies and the vessel. "We'll leave it to the NMSA to do the rest, because they could get the fish and dead people off and bury them somewhere," Mr Lacey said. The Autonomous Region of Bougainville will move its clocks forward by one hour on December 28, 2014. A new time zone, to be known as Bougainville Standard Time, has been adopted by the Bougainville House of Representatives. The new time zone is 11 hours ahead of co-ordinated Universal Time, which means Bougainville will be one hour ahead of the rest of Papua New Guinea. The change will happen at 0200am on December 28, 2014, when all clocks in the Bougainville region will move forward to 0300am. From this date onwards, when it is noon in Bougainville, it will be 1100am in the rest of Papua New Guinea. All persons travelling to Buka or Kieta will need to forward their watches by one hour, to align with Bougainville time. Similarly when leaving Bougainville and traveLling to the rest of Papua New Guinea, travellers will need to move their watches back by one hour. Air Niugini is also in the process of updating its booking systems and timetable information to reflect the above, for all flights to/from Buka and Kieta operating from December 28 onwards. As of Dec 22, the plantation group has a market capitalisation of RM5.4bil. THE most intense cross-border oil palm plantation deal this year has to be the race for a major stake in London Stock Exchange (LSE) listed New Britain Palm Oil Ltd (NBPOL) based in Papua New Guinea (PNG). NBPOL was coveted by many regional plantation companies given its credentials as a fully integrated palm oil producer with 135,000ha of brownfield assets, 12 mills and one refinery each in PNG and Liverpool as well as the largest sugar cane and beef producer in PNG. As of Dec 22, the plantation group has a market capitalisation of £997.82mil (RM5.4bil). Initially, the NBPOL’s stake up for grabs was the 49% stake owned by Malaysia’s Johor Corp plantation investment arm, Kulim (M) Bhd, which saw competitive bidding from seven potential planters, whereby four believed to have been short-listed. It is also believed that intense bidding war took place between two government-linked companies, Sime Darby Bhd and Felda Global Ventures Holdings Bhd (FGV) for Kulim’s stake in NBPOL. In the end, lady luck favoured Sime Darby as the conglomerate was chosen as the preferred party to negotiate for Kulim’s equity stake in NBPOL in July. The plantation conglomerate also had a 60-day exclusivity period to decide on the proposed acquisition. Upon the expiry of the exclusivity period under the exclusivity agreement between Sime Darby and Kulim on Sept 28, Sime Darby made an announcement to Bursa on its decision to abort the NBPOL deal but it did not disclose the details. This sudden turn of event has sparked market talk that it could paved the way for other suitors including FGV to acquire the NBPOL stake. On Oct 9, Sime Darby sprung another big surprise to launch a conditional general offer (GO) to acquire all shares in NBPOL at £7.15 per share or £1.07bil in cash. The GO will be subject to Sime Darby receiving a minimum acceptance of 51% of the NBPOL shares, an assurance that the offer will not be contrary to PNG’s national interest, and meeting the regulatory requirements by the LSE, the Port Moresby Stock Exchange, the PNG government and Bursa Malaysia. The latest development is that Sime Darby has extended the offer period for the takeover of NBPOL from Dec 18, 2014 to Jan 20, 2015. NBPOL’s shareholders owning 58.7% of the shares, including Kulim, have accepted Sime Darby’s offer. Sime Darby expects the exercise to raise about RM2.75bil. The privatisation of NBPOL will also see the PNG plantation group delisted from the UK bourse. Meanwhile, Felda Global Ventures Holdings Bhd (FGV)is also a no stranger to mega plantation deals particularly in the past two years. FGV upped the ante this year by setting its sight on Asian Plantations Ltd (APL) listed on the LSE’s Alternative Investment Market (AIM) and also, NBPOL. FGV, however, failed in its bid to acquire NBPOL after an intense bidding process. Undeterred, FGV reverted to its earlier plan by launching an offer to buy APL for £2.20 (RM11.50) per share, or RM628mil in total, in late August. The offer became unconditional on Oct 13 after FGV secured valid acceptances of 93.9% APL’s issued shares. On Nov 11, FGV went on to delist APL from LSE’s AIM market after the plantation group completed its purchase of APL shares. Hence, with the delisting of APL on AIM, FGV will be working towards integrating APL into its wholly owned subsidiary, according to FGV group president and CEO Datuk Mohd Emir Mavani Abdullah. APL owns 24,622ha of oil palm plantations through its five wholly-owned estates in Miri and Bintulu, Sarawak. A group of four women, along with their 13 children and grandchildren, are at risk of being murdered in Papua New Guinea after being accused of witchcraft, a missionary says. Anton Lutz, a Lutheran missionary in PNG's Highlands, told Radio Australia's Pacific Beat that while details are still coming in, the church, government and NGOs are trying to see if they can help. He said a "witch-hunter" pointed them out when villagers were investigating a measles outbreak which has killed several people. "A witch-hunter, as it were, travelled from a village called Wanakipa ... to the place where these women were and to identify them," he explained. He said their lives are in serious danger. "This is happening in the Hewa language [group], which extends between the northern part of Hela province and the western part of Enga province," Reverend Lutz said. "It's a very large group and they are well known for murdering women." Reverend Lutz said he knew of at least 25 women who were killed over the past 10 years after being accused of sorcery in the western part of the Hewa language group, with no arrests being made. He said it is difficult to get the authorities to help, because the community is only accessible by one airstrip and reports have only just emerged about the imminent killings. "It's an extremely remote part of this country," he said. "We're still trying to notify the authorities and we're waiting for calls back from the police right now." But the missionary said accusations of sorcery and retaliatory violence against women are not unique to remote, undeveloped areas in PNG. He pointed to last year's killing in Papua New Guinea's third-largest city, Mount Hagen, where Kepari Leniata, 20, was burnt alive after being accused of sorcery. The young woman was from an area believed by many in PNG to be hotbed of witchcraft. "And she had run away from her village because she had been accused of this witchcraft thing and she escaped here," he said. "But she was actually murdered [in Mount Hagen] based on accusations from [her hometown], which is where this story is unfolding. "So it's a very real risk that sort of extends right through the highlands. Reverend Lutz said the accusations of sorcery are becoming more widespread. "For instance, I live in the Enga province, in the eastern part of it, and there are no traditional beliefs about this kind of witchcraft," he said. "But, because of the movement of people ... those who have never believed in these kinds of things before are now hearing these stories and believing in them." Last year, a conference on sorcery in Melanesia heard the belief in the power of others to cause harm using supernatural powers is deeply ingrained in the region. "We consider it a very troubling phenomenon that really goes to the heart of the international human rights framework as a human right violation against women's right to life," said Nancy Robinson, UN High Commissioner for Human Rights regional representative. "A right not to be tortured and also to lead a life without violence. "These are issues that we are aware of exist in many countries, but her feel that it is inadmissible that by virtue of cultural practices, women's right to life is being violated." By Cue Energy Resources Ltd. Cue Energy Resources Limited (CUE and the Company) announced the sale of its interests in Papua New Guinea to the National Petroleum Company of PNG for $7 million. CUE received $7 million in cash via the sale of 100% of the shares in CUE’s wholly-owned subsidiary, Cue PNG Oil Company Pty Ltd, effective Nov 20, with the sale proceeds substantially exceeding the book value of the assets. The sale follows a strategic review of the company’s PNG assets and immediately allows CUE to realize value from its share of the declining reserves and contingent gas resources and releases CUE from a potential substantial well commitment of up to $10 million, delivering a material saving over the short to medium term. The sale aligns with the company’s strategy of operating in lower cost areas with near term development options and enables CUE to re-allocate capital to other opportunities more closely aligned with its strategy, including the recently increased 100% participating interest in the Mahakam Hilir PSC and farm-in to the highly prospective Mahato PSC, both located in Indonesia. Papua New Guinea ranked fifth on the list of five must-visit destinations in the world next year, according to the travel online agency Destinia.com. Dubai, the most populous city　in the United Arab Emirates, is at the top of the list, followed by Namibia, Burma, Vietnam, and PNG. The travel site said that Vietnam will celebrate National Tourism Year 2015 under the theme "Connecting world heritage" in the central province of Thanh Hoa, to celebrate the cultural legacy of the country. All the provinces and cities with UNESCO recognised world heritage sites and practices will host various artistic and cultural performances and events during the year. At present, Vietnam is home to 22 world heritages recognised by the UNESCO, including two natural heritages, five cultural heritages, nine intangible cultural heritages, four documentary heritages, one geological heritage, and one mixed heritage. Papua New Guinea is making great strides in improving how students are being taught to read. This is good success considering that in 2011 literacy rates among primary and secondary students in five of Papua New Guinea’s 22 provinces were below 20% (ASPBAE Australia). The Pacific Island nation of 7.3 million people joined the GPE in 2010, with an ambitious Universal Basic Education Plan designed to ensure that “all children of school age must enroll in school, complete nine years of basic education and should have learnt skills, knowledge, and values covered in the basic education curriculum”. The plan aims to improve access and the quality of education as well as enhance management of basic education, retention, and equity. The Global Partnership for Education supported Papua New Guinea with a $19.2 million grant to implement this plan. The 2011 PNG Read program, funded by the GPE grant and implemented by the Papua New Guinea Department of Education with the support of the World Bank, is an innovative program founded on the principle that reading is the fundamental skill all children must acquire to promote learning. The program promotes better teaching and learning of reading skills in elementary and primary education. In Papa New Guinea, elementary level means preschool and the first two years of primary school, and elementary level includes grades 3 to 8. As a result classroom libraries of 60 books are being established all grade 3 to 8 classes across the country. Considering that PNG is as large as the United Kingdom with much of it not accessible by road, delivering books to every school in the country represents a major logistical challenge that is still underway. Selecting and procuring more than one million books was another challenge, as well as preparing teacher’s manuals and training DVDs to promote the use of these books via activities such as silent reading, paired reading, story time, and improved methods to teach reading. Preparing, selecting and distributing the learning materials for younger children, much of it in vernacular languages as more than 800 languages are spoken in PNG, was yet another challenge we are addressing. And finally, adapting and testing the reading assessment tools known as Early Grade Reading Assessment (EGRA) in four of Papa New Guinea’s 22 provinces is underway and is meant to give teachers and education departments officials practical tools to measure progress of the reading-related initiatives, including the ability to identify and address problems quickly. During a recent visit to Papua New Guinea I was able to see the progress of the PNG Read program. Reading scores in Madang province for both boys and girls have improved, interventions in the Western Highlands province are on track, and books for the classroom libraries are being distributed. In addition, teachers are being trained to use the materials to promote reading and improve reading scores. In the capital Port Moresby I visited two local schools and observed that teacher training to promote reading has been quite effective. Teachers are integrating the classroom libraries and reading sessions into their classroom schedules. Techniques such as having a reading buddy are being used to pair stronger readers with less-proficient readers to help those struggling to become more confident and willing to participate in the reading activities. The PNG Read team is also working on the development of a new “Standards Based Curriculum”, which highlights the importance of data collection to inform curriculum planning. This will strengthen evidence-based decision making going forward and the establishment of a strong and sustainable system. Jeff Ramin is the GPE Country Lead for Papua New Guinea, Bhutan, Haiti, Maldives, Mongolia, Philippines, Timor-Leste, and Yemen. Singapore and Port Moresby, December 23, 2014: InterOil Corporation (NYSE: IOC; POMSoX: IOC) has started drilling the Antelope-5 appraisal well in Petroleum Retention License 15 in the Gulf Province of Papua New Guinea. Antelope-5 is about 1.8 kilometers from Antelope-3 and will appraise the western extent of the Elk- Antelope field. InterOil will keep the market informed of material developments. InterOil Corporation is an independent oil and gas business with a primary focus on Papua New Guinea. InterOil’s assets include one of Asia’s largest undeveloped gas fields, Elk-Antelope, in the Gulf Province, and exploration licences covering about 16,000sqkm. The company employs more than 2,000 staff and contractors. Its main offices are in Singapore and Port Moresby. InterOil is listed on the New York and Port Moresby stock exchanges. Will the Search for Amelia Earhart ever end?